Lock in a great price for Clarion Hotel Wisby – rated 8.6 by recent guests! The hotel was gorgeous! Our room was really nice, clean and comfortable. We had a peek-a-boo view of the water, which was a bonus. The breakfast Location was perfect for walking around downtown and over to the medieval festival. Would definitely stay here again! Conveniently located and the staff is great. Good value. Definitely make visit the spa. The public spaces, especially the lobby space and bar was amazing. We loved to spend time there. In addition, the hotel was in an excellent location, within the walls of the old city, and very close to the harbor, shops, and restaurants. The breakfast buffet was excellent. Don't miss seeing the poppy fields, the Gotland sheep, and the sea stacks, all located south of Visby. 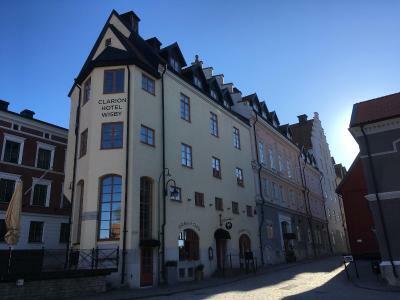 Comfortable stay in an historic building in the old town. Room, bed and bathroom were excellent. Breakfast delicious. Staff very competent and helpful. This historic building looks amazing. Located at very central of the old town, convenience walk to ferry port and most Place of the town. Breakfast is very good, the staff are friendly and nice. Very comfortable room and bathroom (with lovely products). Excellent breakfast. Wonderful location and great breakfast with lots of choice of options. I really liked the comfy bar with the atrium windows. The sauna and pool are nice but a bit small and they can be rather crowded. Located in the city center, very near sites of interest, close to the sea. Clarion Hotel Wisby This rating is a reflection of how the property compares to the industry standard when it comes to price, facilities and services available. It's based on a self-evaluation by the property. Use this rating to help choose your stay! 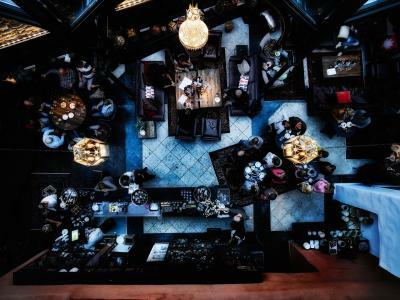 One of our top picks in Visby.This charming hotel is in Visby’s medieval town center, 1,300 feet from the Destination Gotland Ferry Terminal. It features 13th-century vaulted ceilings, an on-site restaurant and free WiFi. Air conditioning, multi-channel TVs and mini-bars are in each room at Clarion Hotel Wisby. The rooms offer street, courtyard or sea views. All have bright, traditional décor. The in-house Kitchen & Table Restaurant serves international dishes inspired by Manhattan and Gotland. 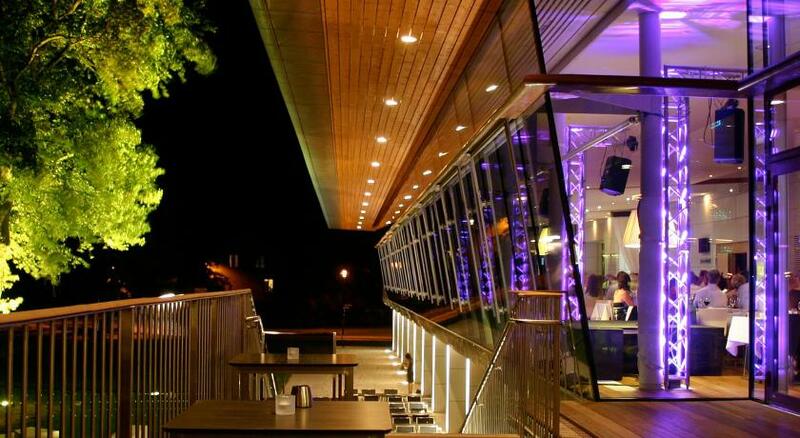 Guests can enjoy cocktails in the glass-roofed lounge bar. 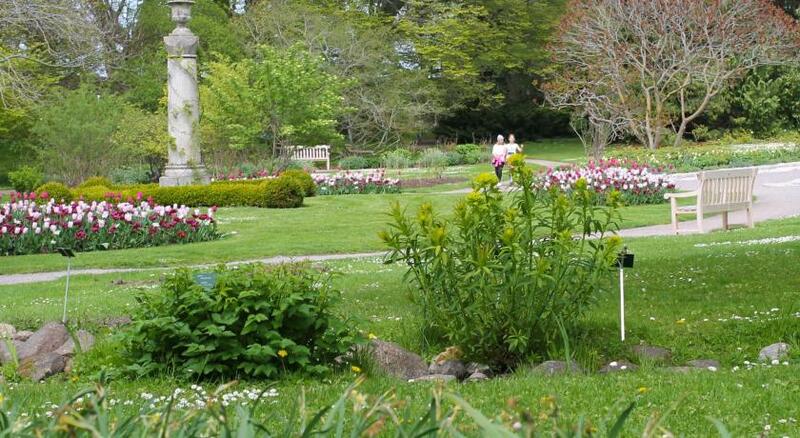 During summer, guest can relax in the garden. Housed in the same building, Selma City Spa Wisby offers sauna and pool facilities as well as various bookable treatments. Other facilities include a wedding chapel. Clarion Wisby is 3 minutes’ walk from Gotland Art Museum. Almedalen Park is a 2-minute walk away. This is our guests' favorite part of Visby, according to independent reviews. This property also has one of the top-rated locations in Visby! Guests are happier about it compared to other properties in the area. When would you like to stay at Clarion Hotel Wisby? Air-conditioned room with mini-bar and a multi-channel TV. Private parking is available on site (reservation is needed) and costs SEK 150 per day. Spacious room with a large wardrobe, a living room and a flat-screen TV. Compact, air-conditioned room with a mini-bar and cable TV. Please note that the bed is 55 in wide. - One 3-course dinner per person per stay. House Rules Clarion Hotel Wisby takes special requests – add in the next step! Please note that laundry service is only available from Monday to Friday. Please note that entrance to the spa is at a surcharge. The in house restaurant closed too soon. Clean place and great location. I would have really liked a kettle and tea in my room. Great location. Friendly reception staff. the parking, paid for it but my tiny car could not fit in the last pakingspot because people can't park..
During the hot summer, air conditioning would be great. Booking.com mentioned that all rooms are airconditioned, but the hotel staff said that none of the rooms have airconditioning. Instead, the rooms have controlled ventilation. In our room the temperature was still too high (30oC) despite maximum power of ventilation. After changing, we got a much colder room. The floor plan is complex. Parking only outside the city walls on a big public parking lot. General: not clear why most visitors qualify Gotland as a superior location. We have seen more interesting places elsewhere. Fitness times. Access to SPA- very short time. May be breakfast was not so good. Erik, a member of the staff, is extremely friendly and helpful. We arrived very early around 6am and he came out to greet us and help us with the luggage. We had a long journey to Visby, and there were no rooms ready so Erik invited us for breakfast. He also gave us good tips on what to do around the city. A great customer service! Great location, lovely breakfast and friendly staff. Restaurant had a nice menu and great salads. Spa was quite small with only one sauna (traditional) but still very relaxing and intimate.